The dark meat of chicken thighs absorb the sweet, warm spices in this dish beautifully. For a vegetarian version, substitute cubed sweet potato for the chicken. Heat oil in a Dutch oven. Meanwhile, place flour in a bag or shallow dish. Dredge chicken in flour; shake off excess. Brown chicken for 5-6 minutes each side, turning once. Remove chicken to a plate; set aside. Cook onion in the same pan until softened. Add garlic and spices and cook, while stirring, 1 minute. Add tomato puree, honey and sea salt; stir to combine. Return chicken to pan, cover and simmer for 15-20 minutes. Stir in peppers, raisins and garbanzo beans and simmer another 15 minutes. 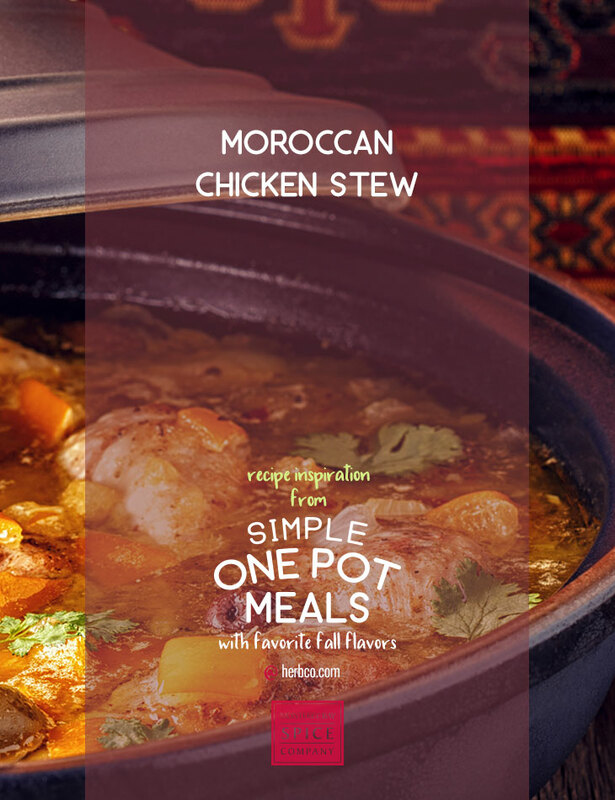 Serve stew over cooked orzo, rice or couscous. Garnish with fresh chopped parsley and sliced almonds, if desired.